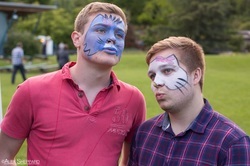 Face Painting Workshops for Schools, Corporate and Colleges. Having a Face Painting Work shop is a fun and interactive activity for both children. and adults. It's such a great creatove and relaxed activity to have at a school, youth club, corperate, team building and even works as a fun birthday party event. 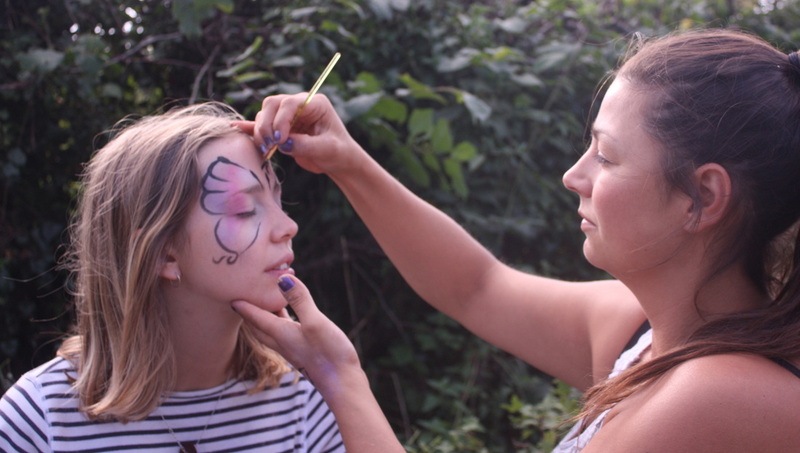 Face painting workshops are a great way to be creatve and have lots of fun a ;aughs as you transform your parter into your own designed creation! Absolutely PAinted FAces offers workshops for 6yrs+ numbers can be arranges as per your requirements but everyone attending wil need a bddy. A Typical workshop would be for 2 hours for up to about 12 guests. The workshop begins with a 20 minute introduction to face painting discussin face painting techniques, brush sponges and paints. This is then also accompanied with live demos to inspire ideas and to get the group engaged and ready to start painting. Each person is then asked to create a design using a paper template and the buddy up with a partner. They will then be able to re create their design on theor partner using the tips and advice form the professional face painter. All paints and brushes provided.